and click OCC.ORG for weather related closures. 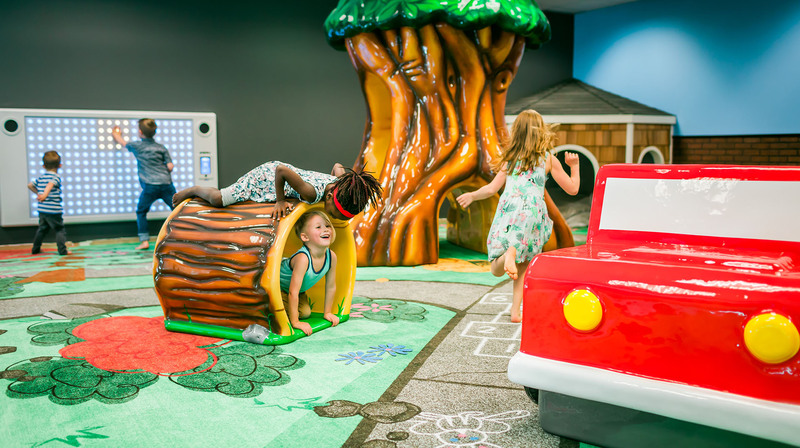 We are excited to invite all families with young children age five years and under to this free of charge indoor play area on the Overlake Christian Church campus. a cup of coffee and watch your kids play! of getting to the 3rd floor of Bellevue Square! stay to enjoy storytimes and other fun activities, see below. KidTown Park is always reserved for Overlake's children's programs, every Sunday between 9:30am-noon. You're invited to join us! Just be sure to check-in your child(ren) at KidTown Station, just a few steps past KidTown Park. Occasional special events will also impact the "open" hours of KidTown Park from time to time. Please bookmark this page and check it prior to being our guest - we will do our best to ensure any closures of the park are noted here! Also, you can call Overlake's Reception Office, Monday-Thursday from 9 am to 4 pm to double-check KidTown Park's "open" hours that day: 425.702.0303. THANKS!